"You better read the fine print in your HOA contract," is the advice given in this news report. But even that wouldn't have helped a family in Stoneybrook West in Winter Garden, because the association changed the rental rules after the home was bought and the family moved in. The Suleiman family shares the home with the cousin, who holds the deed to the home. It's a single-family home and the HOA doesn't consider cousin as family -- and the board told the family to leave. The family pays the association fees, but the association has banned Naim Suleiman from coming into the neighborhood. Now he has to follow a car to go through the gate, just to get to his home. The association told him to get a lease so he could stay. So his cousin wrote a lease up for him, which the HOA then rejected because of too many other rentals in the neighborhood. The HOA has a 5% cap on rentals and is currently in the 7-8% range. HOA attorney Jim Gustino says the rental cap protects property values and that the Suleimans are not the only ones that got rejected. 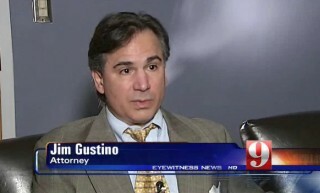 Jim Gustino, Esq. the association attorney said (quote): "This is not personal to us. This is all about preserving the community quality of life!" But Suleiman's attorney, Mark Lippman, says the association is out of line. He said the homeowner bought the property in 2005, and then the HOA changed the rules on rental caps in 2007. "He is giving his house to his family, and there is no reason why he should title the house over. It appears that is what the association is looking for; that they want him to change title -- that's ridiculous." The judge has heard the case but has not yet ruled on it. This is just another example that the system called "Community Association" is a total failure for our society. Imagine a law suit over the fact that the family living in the home inside this mandatory gated community is owned by the cousin of the family that lives in this house. Attempts to find feasible solutions to make it work without litigation have failed -- and the whole case went to court -- at high legal cost. The absolutely ridiculous statement comes from association attorney Jim Gustino who claims that the lawsuit was filed because the rental cap protects property values. "This is all about preserving the community quality of life!" Sorry, I have heard all kinds of excuses, but this one surely belongs in the Top Ten list of ridiculous statements! In a time when every association should be happy about every owner who pays his maintenance fees in a timely manner -- these kinds of lawsuits are totally uncalled for! Homeowners living in this community have reported that since 2007, when Jim Gustino joined the board of the STONEYBROOK WEST MASTER ASSOCIATION, INC., the number of lawsuits has increased. To me it looks like Jim Gustino is using the association as his personal cash cow. You may call it what you want: I call it CONFLICT OF INTEREST if a board member votes to involve the association in litigation and then hands litigation over to himself -- the association attorney!